If you have skype installed you can select the link below to call Paul McGowran - Seek First Ltd. The key to developing high performing individuals, teams and organisations is to use NLP to develop the key behaviours and attitudes that under pin the culture and processes that sustain high performance. We underpin all our work using a bespoke combination of NLP Training, Insights Discovery, Covey’s 7 Habits of Highly Effective People, Transactional Analysis and Coaching. It is this blend of approaches that we have carefully crafted into our ‘Working from the Proactive Space’ model that sets us apart. As part of this approach we also consider what is going on when there is a dysfunctional team or individual. 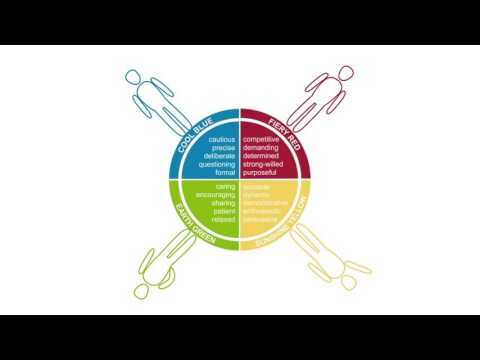 Our approach is to identify this dysfunctional behaviour for what it is start to build behaviours, attitudes, culture and processes that ensure dysfunctional behaviour has no place in your organisation. We deliver our services across the UK. Whilst we are based in Windermere in the heart of the Lake District in Cumbria our clients are nationwide. For more information on products and services please contact us. We will make a difference! As an ANLP accredited trainer of NLP, Paul McGowran of Seek First Ltd offers a range of ANLP Accredited training programmes. With us you can achieve NLP Diploma, NLP Practitioner and NLP Master Practitioner status and join the leading NLP membership body in the UK, the Association for NLP (ANLP). If you are more interested in applying NLP to the world of business then we also offer a suite of programmes designed using our ‘Working from the Proactive Space’ concept. These business NLP programmes (Practitioner & Master Practitioner) will enable participants to develop and run programmes in their organisations to assist in the development of high performing teams and high performing leadership. At Seek First Ltd we appreciate that not everyone that studies NLP wants to work as a coach or a therapist. NLP is much more than a pathway to working 1:1 with individuals. When applied to issues affecting organisational culture and leadership, NLP can be a powerful catalyst towards positive organisational change. My name is Paul McGowran. I have spent 20+ years developing people, teams and organisations using a wide variety of different approaches, systems, ideas, processes, methodologies, tools and techniques. During this time I have found that there are some underlying ideas and concepts that are essential to create change and growth and there are some tools and techniques that can keep change and growth going. After years of clients asking me to ‘bottle’ what it is I do in order to create change in a team or a person that was previously under performing (or just being downright awkward) I have spent the last few months putting the recipe together. The Proactive Space is the result. The simplicity of the Proactive Space approach is immediately obvious to anyone that comes into contact with it. The breadth and depth of the approach creates long lasting awareness and understanding that will never leave you and will result in your perception of events being changed permanently. By choosing to work from the Proactive Space, life will just be easier and more enjoyable. Why would you choose any other outcome? There is a Science and an Art to the Proactive Space. There is not a lot that is ‘new’ in the Science of this approach, the systems, ideas, processes, methodologies, tools and techniques have been around for decades and in some cases, centuries. The Art of this approach is the new bit. The art of the Proactive Space is in how the approach is delivered with Individuals, Teams and Organisations.